~Mrs. 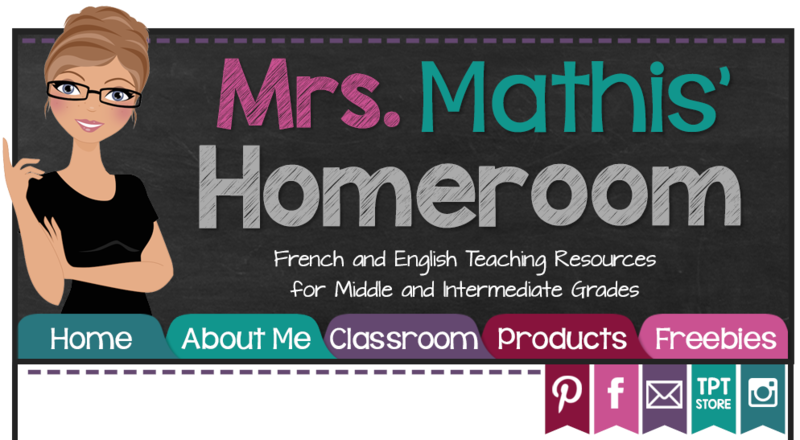 Mathis' Homeroom~: New School Year Means a New School Planner! 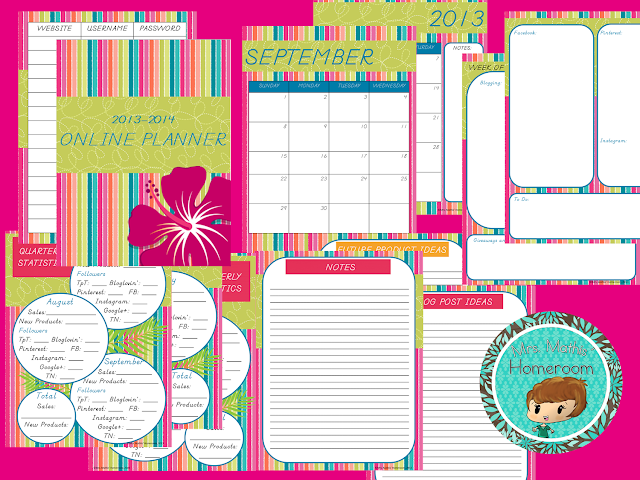 New School Year Means a New School Planner! For me, the new year ALWAYS starts in September, and not in January. A new year means a new planner! Since I'm a substitute teacher, I can never really find the perfect planner. I created my own last year, and I did it again this year and included an online planner as well. This time, I also made matching pencil boxes and clipboard. I love this design! 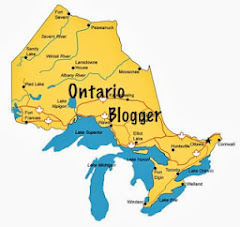 My planner includes sections for important contact information, monthly calendars, a substitute teacher weekly planner, login and password information, statistics, blog planner, future product planner, weekly online planner and notes! I absolutely love it! 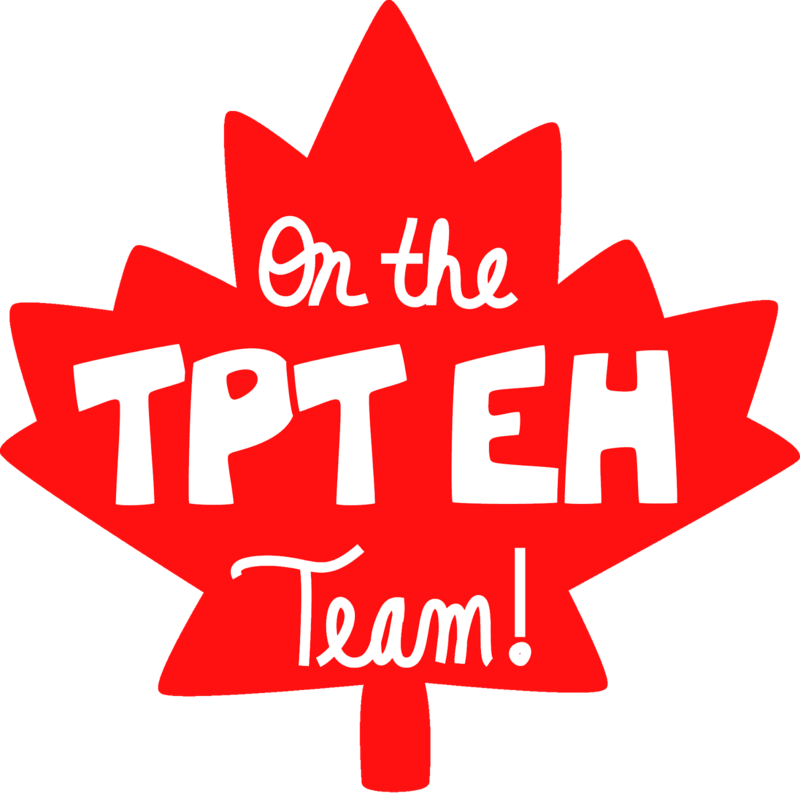 Because my planner is so personalized, I didn't put it up for sale in my TpT store, but I did put the Online Planner up for sale! In this planner, there are front and back cover pages, username and password tracking sheets, quaterly statistics tracking sheets, brainstorming pages for blog posts and future products, weekly online planning sheets (with spaces for blog, Facebook, Pinterest, Instagram, giveaways and linkies), monthly calendars from September 2013-June 2014, and note pages! 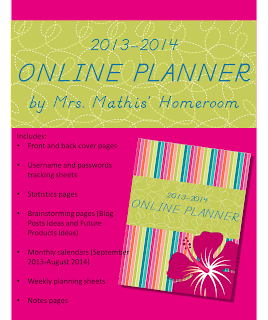 It's the ultimate online planner! Click the image to purchase yours now! How do you stay organized all year? Do you have one planner for everything, or several planners? Do you prefer an electronic planner?